Three wines, all alike in grapery, in fair Italy, where we lay our scene. This is the second round of our Sangiovese study. Is this wine better than the last? Let's find out! THE VINEYARD: The historic estate of Il Poggione is one of the largest estates in Montalcino, and is situated below the beautiful hilltop town of Sant’Angelo, in Colle, which is characterised by a mild and breezy micro-climate. This benefits the grapes by maintaining refreshing acidity levels and extending their ripening time. Years ago, when the vineyards were being planned and developed, various locations and elevations were carefully selected for Sangiovese grapes, and Il Poggione is considered one of the best sites. THE WINE: Brunello di Montalcino is one of Tuscany's most famous DOCG. Located 30 miles south of Siena, Brunello is the local name for the Sangiovese clone from which the wine ‘Brunello di Montalcino’ should be made in its entirety (which means no blending with any other varietals!). 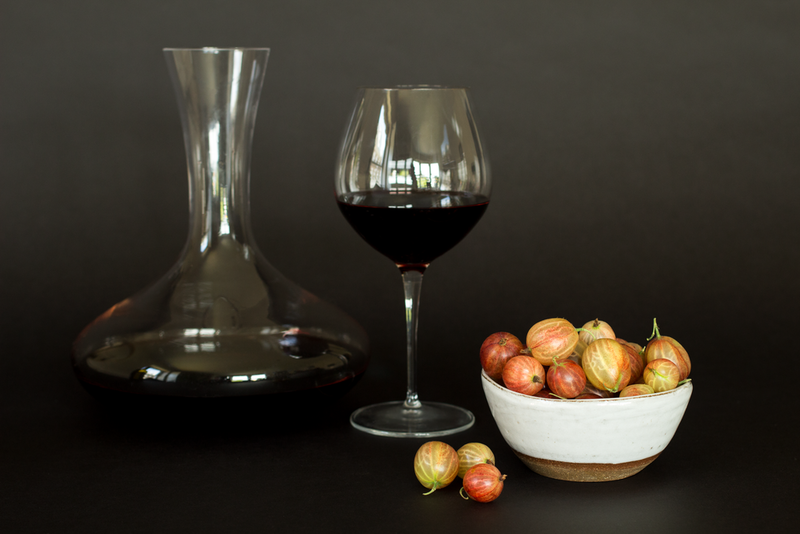 After it's made, the wine cannot be released for sale until five years after the harvest. THE PROCESS: Il Poggione wines are made in the traditional wine-making style, which includes submerging the cap of skins for more colour and tannin extraction, along with ageing in large Slovenian casks, so that wood flavours remain subtle and do not interfere with the natural expression of Sangiovese from this region. CARO: Caro’s hungover - Chapter 2. Now, considering how many times I’ve heard Angela rave about Brunello, it’s fair to say I’m slightly gutted about my body denying me the chance of savouring the subtlety of this wine - self-inflicted, I know. But from what I can pick up, this wine looks pretty badass, like a deep, rusty blood, and smells like sweet almond. In fact, if this wine was human, it would probably be a Suicide Girl. Actually, it really reminds me of the Zensa Nero di Troia we tasted for our Wines-O-Lutions round! It’s got a light texture, but hits you in the face with the strength of all the sunny rays these lucky grapes have been soaking up in their previous life. One thing’s for sure, Brunello and I need a second date. You know, one where I’m not hanging like a fruit bat. ANGELA: What a treat Kate has brought to the table! This has aromas of ripe strawberry puree and toast. It’s got a powerful body, grippy tannins and high acidity with red bramble fruit and a little black pepper – absolutely beautiful! When we tried it, it had had a little time to air, but I think a few more hours would really open this up and I think Kate, her bottle and tomato pasta are in for a great evening! KATE: Once upon a time in the years before Instagram, I went to Tuscany with a group of rowdy Americans. We ate, we drank, and we terrorised the sweet violin-playing man who lived in the villa next door with late night laughter and impromptu dance parties. It was the best! On that trip, we rocked up to the Cupano vineyard and somehow managed to convince the owner, who I very lovingly refer to as Wine Santa, to let us have a tasting even though it was off-season and they were technically closed. He very kindly obliged (truly, Wine Santa!) and my love affair with Brunello began. Fast-forward to present day and I'm still chasing that Cupano high. Even without the charm of the Etruscan countryside all around me, this Brunello gets mighty close to planting me right back on that beautiful hilltop. Okay! This wine: it smells amazing. Ripe plums, powdered sugar, jam and raw steak (but in a good way!). It's warming and so well-balanced, with a fruity sweetness and lingering layered spices. It's really a terrific wine and, in my opinion, completely worth the money if you're going to take the time to decant it and truly enjoy it with good friends (or just yourself) over the course of many hours. Would pair perfectly with a Tuscan breeze and bitter-sweet violin music wafting in through an open window. Also! 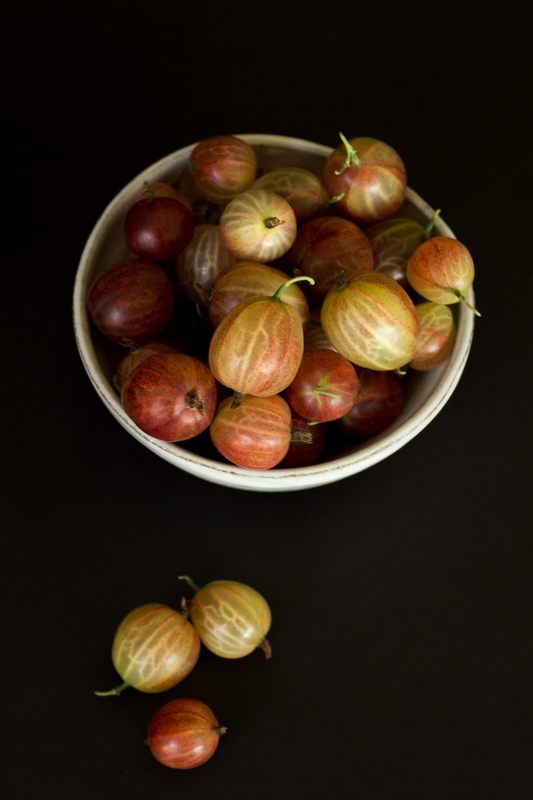 Here's a photo of some gooseberries just because they're pretty! WOULD WE HAVE ANOTHER GLASS? We're kicking off a full-on love affair with this wine.